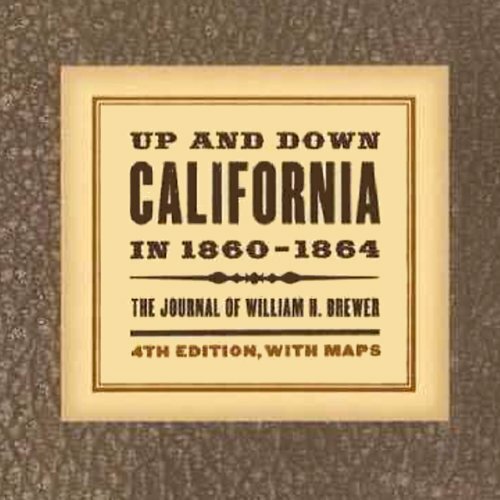 Showing results by author "William Henry Brewer"
In 1860 William Brewer, a young Yale-educated teacher of the natural sciences and a recent widower, eagerly accepted an offer from Josiah Whitney to assist in the first geological survey of the state of California. Brewer was not a geologist, but his training in agriculture and botany made him an invaluable member of the team. He traveled more than 14,000 miles in the four years he spent in California and spent much of his leisure time writing lively, detailed letters to his brother back East.